Wes Reeves was born a Martial Artist. At the age of five Coach Wes began his Brazilian Jiu Jitsu Journey, but was not too interested in the sport at the time. 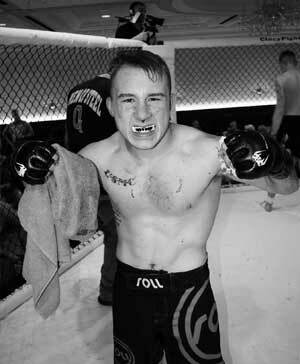 Wes’s grappling progression started when he joined his middle school wrestling team. Wes continued wrestling throughout all four years of high school. During that time Wes became a 2x conference champion, regional finalist, 2x state all-state competitor, 2x state medalist (8th and 3rd), and had a total of 99 career victories (41 victories obtained in his senior year alone). But, the 99 career victories leave Coach Wes feeling unaccomplished because his goals were not met. He now has a new found love in Mixed Martial Arts. Wes is a blue belt in Brazilian Jiu Jitsu, takes all of the Muay Thai classes, and teaches the Wrestling classes at JGMMA. Wes considers his coaching style to be more technique oriented, but likes to keep classes fun at the same time. Join the best Mixed Martial Arts gym in Cincinnati, OH. Brazilian Jiu Jitsu, Kickboxing, and much more! you'll save $100 on your membership. Stop into our West Chester academy for details! ** Please note this is only eligible for new members. All and any discounts will be applied in person at our West Chester academy.